Professional 24 hr service and customer service. Continuous training for our service technicians in the field of technology and cooking technology assures you of skilled on-site assistance. We have fully equipped service vehicles – a rolling spare parts store! 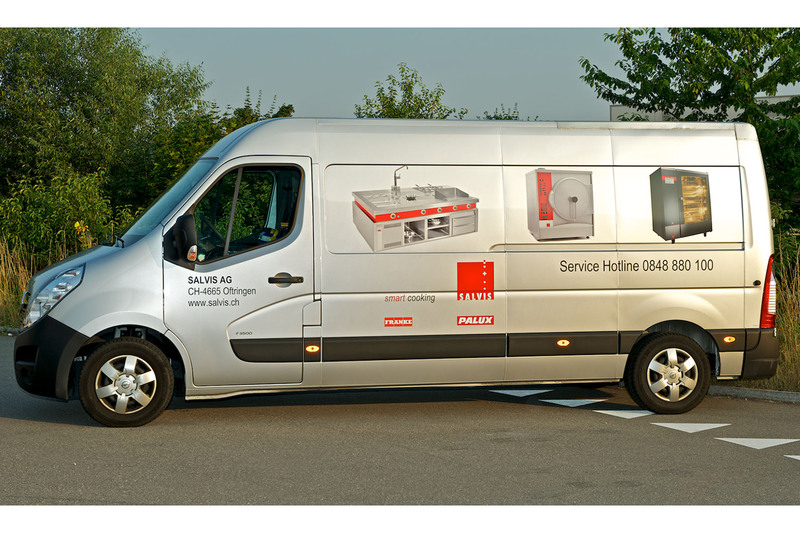 Salvis has a nationwide service network in Switzerland. Maintenance agreements guarantee the highest possible availability of your equipment. To avoid future failures as far as possible and to enable you to budget for kitchen area operating expenses, we offer a range of maintenance contracts and agreements within the framework of our Total Service Concept. These guarantee you even more safety, reliability and durability for your kitchen equipment.